The phone interview is a common first step in the interviewing process. Phone interviews present unique challenges and also, opportunity. Prepare, and you’ll be on your way to the face-to-face stage in the hiring process. 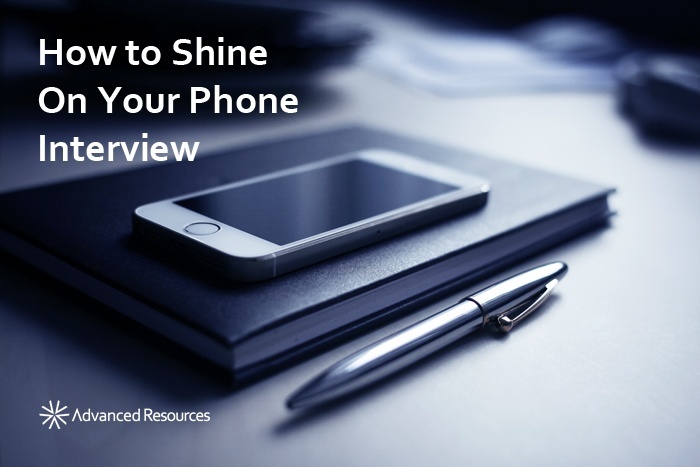 Advanced Resources recently hosted a webinar, “How to Shine on Your Phone Interview” to help job seekers increase their confidence and put their best foot forward. The webinar was designed to help job seekers prepare, perform, and follow up professionally. Advanced Resources is Chicagoland's choice for top finance & accounting, tech, helathcare, HR, and office support talent. Find out more atwww.advancedresources.com.